Saturday, September 30. 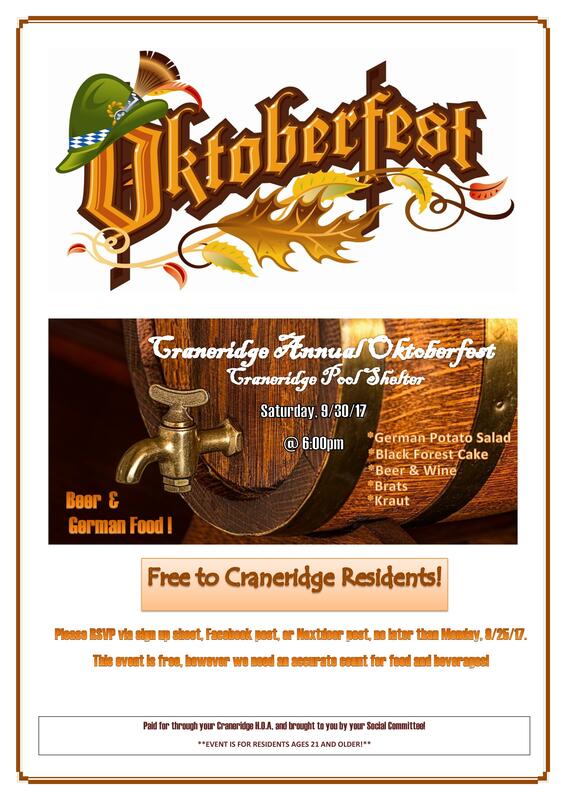 Free to Craneridge residents, but you must RSVP by 9/26 to reserve your spot. Respond here or at the signup sheet at the Mail Center. Prost!